A few weeks ago I blogged about Garnier’s Intensive 7 day nourishing lotion which without a doubt is my favourite body moisturiser. 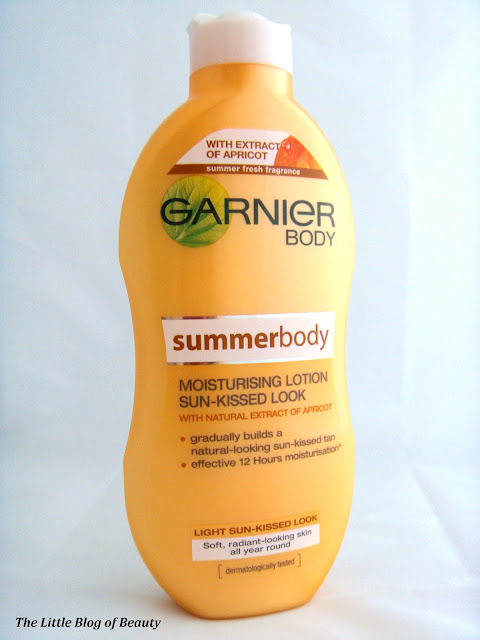 Today’s post is about Garnier’s Summer body moisturising lotion. In the winter when my skin dries out completely, Garnier’s 7 day intensive is the only thing I have found that can keep moisture in my skin. As much as I love 7 day intensive when the sun finally makes an appearance now the sun has finally made an appearance I’ll be switching over to Garnier’s Summer body as this is a tan building moisturiser. I have never used fake tan before because I’m so pale and with the dry skin and eczema patches that I suffer from I’ve always been worried that I’d make a complete mess of it and end up looking ridiculous. Around 8 years ago I discovered tanning moisturisers and I believe Summer body was the one that I used back then as well (for some reason at some point I stopped using it and have only just rediscovered it again now). This is just as good as 7 day intensive; it absorbs quickly, doesn’t leave any residue on my skin, leaves my skin feeling really soft, lasts well and gradually builds a light natural looking tan. I know some of these types of products have an interesting smell that many people don’t like but this has a really lovely fruity fragrance that makes my mouth water and is described as summer fresh. 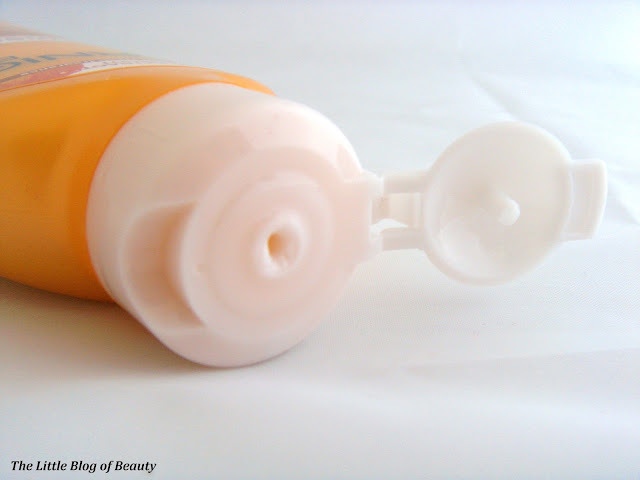 This is really easy to apply because you just moisturise as normal and don’t have to worry about any dry patches because the moisturiser deals with them. You do have to make sure that you blend though and wash your hands afterwards as I have ended up with stained fingers and tide marks on my feet. I use the light version but you can also get this in dark if you don’t share the same skin tone as Casper the friendly ghost! The price of Garnier Summer body seems to vary depending where you get this from but it’s available from Boots, Superdrug and supermarket beauty sections.